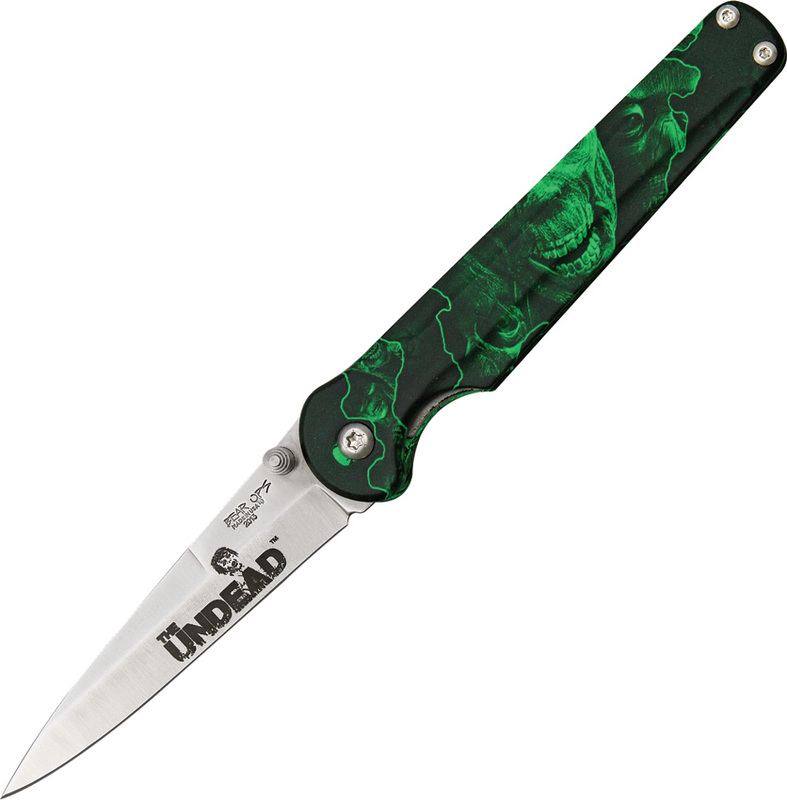 Bear Ops BC37004 Undead Series Stiletto Knife - 4 3/8" closed linerlock. 3 1/8" satin finish S30V stainless stiletto blade with false top edge and dual thumb studs. Blade features "The Undead" blade etch. Reaper Z aluminum handles. Matte finish stainless pocket clip. Black nylon slip pouch with drawstring closure.